Dubai, UAE, October 24, 2018: Cadillac has developed a new 2.0-liter, four-cylinder turbo engine as part of an all-new global architecture of versatile, high-efficiency engines representing the next generation of advanced powertrain engineering. 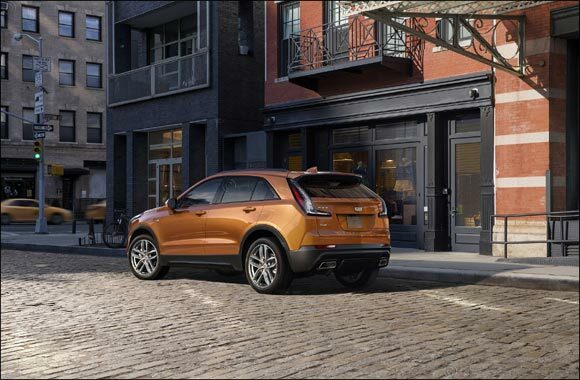 Debuted earlier this year on the brand’s new compact SUV – the XT4, the lightweight engine, engineered with industry-leading valvetrain technology, delivers efficient performance, with immense power on demand at all speeds. customer from the millennials of the Middle East are perfectly suited for this advanced family of engines. Right from the beginning, the XT4 has been powered by an all-new engine that delivers exceptional responsiveness to inspire driver confidence with power, while providing competitive fuel economy for optimal efficiency”. An efficiency-enhancing electric water pump eliminates the drag of a conventional, engine-driven pump. It also enables continual cabin heating, even when the engine is off during a stop/start event. The design of the integrated exhaust manifold in the cylinder head helps recover exhaust heat for faster engine and transmission warm-up and quicker turbo response. Stop/start technology automatically stops the engine in stop-and-go traffic under certain conditions to reduce fuel consumption. This feature can be deactivated by the driver at startup.